I think this is a first in the UK. This ASA ruled against Sophora Media and the company is now listed on the “bad boys” index of those non-compliant online advertisers. A blogger wrote about a deal run by Sophoro on their Swoggi site. You can read the article here on Conso Blogger. It’s called “How to get a 90% discount on an iPad, iMac or iPhone?”. 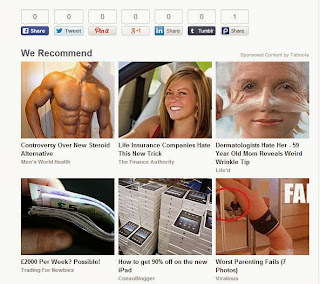 The post is written as a positive review but does not state it is an advertorial or an ad. However, as the blogger has a commercial relationship with Sophoro the ASA ruled the post should have been clearly labelled as an ad. In this case, Conso blogger has an affiliate relationship with the brand. The ASA were also annoyed that the blogging affiliate presented an expiry date on the article but then kept on updating the article to push that date on. The ASA argued that, in effect, there was no such expiry date and this practice was deceptive. Affiliates will know that the IAB Affiliate Code of Conduct requires them to keep expiry dates up to date and offers valid. That isn’t entirely what the affiliate was doing here. Why is this ruling interesting? This is interesting because it is Sophoro Media (trading as Swoggi) who has felt the wrath of the ASA rather than the affiliate. Has Sophoro benefits from the piece the ASA set their sights on them. It seems harsh on Sophoro but underlines the value of having open communications with affiliates. As Conso blogger being asked to remove the post by Sophoro? Why is the affiliate still on the program? While visiting this blog post I just happened to notice the Taboola content engine recommendation contained a post called "How to get 90% off the new Ipad" from ConsoBlogger. It's at the bottom and in the middle. The click also happens to redirect via http://outsoorce.go2jump.org/aff_ad?campaign_id=1517. Go2Jump is a HasOffers domain. So is ConsoBlogger offering affiliate payouts to people who drive traffic to their blog? Can they track conversions? Is HasOffers helping out a successful earner? Clues are certainly in the sub-domain outsoorce and the campaign code 1517.